A forum post on RPGCodex.net, seemingly written by Phantom Doctrine lead designer Kacper Szymczak, paints a dire picture of the developer's post-launch struggles. In the post, Szymczak admits that "things have been rather hectic". "[Phantom Doctrine] didn't sell as expected (there's little doubt it will break even somewhere along the way, but in Poland your game is always compared to Witcher 3 and Frostpunk)." Szymczak claims that as a result of the games weaker-than-expected sales, CreativeForge's original CEO resigned. Following this, Szymczak says that he was asked to step up into the CEO role - which he accepted in October 2018. However, Szymczak writes, in "late Dec it became clear that the CEO role was to become a shareholder puppet." He says "That was when I flipped the table and resigned from the CEO job"
Then, "the moment it became apparent that we'll have to struggle with even basic operation tasks, I grabbed that table mid-air and flipped it again and quit." Szymczak claims that a large percentage of the company's development team followed suit. At this time, at least 29 of the game's 40-man core team are understood to have moved on from the company. Writing to an audience of Phantom Doctrine players on the forum, he alleges that "CFG as you know it ceased to exist." It's uncertain how legitimate or accurate this forum post is. However, Szymczak appears to have been an active forum member for some time. In the past, he's used RPGCodex.net to respond to complaints and feedback about Phantom Doctrine. So, at face value, it does appear to be him. And if the post is accurate, that's a shame. When we reviewed Phantom Doctrine last year, we found it lacking - but CreativeForge still seemed a developer with plenty of promise. 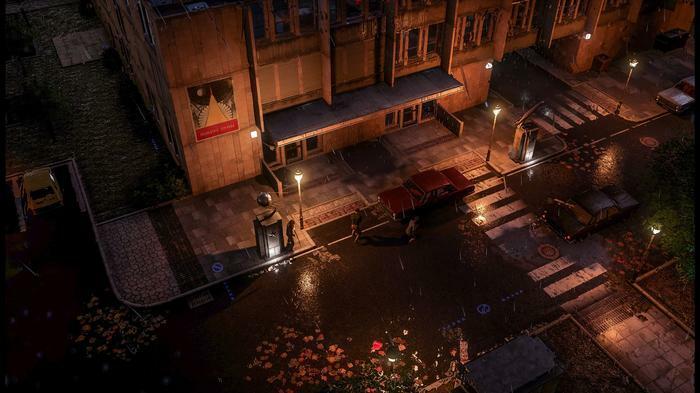 In our review of the game at launch, we said that "If you’re a fan of this genre and setting, and are keen for a take on the formula that favors stealth, [Phantom Doctrine] might be up your alley. Unfortunately, if you’re a novice to genre, the repetitive missions, oblique story and tedious pacing make it tricky to recommend." Since then, Phantom Doctrine has received several major balance patches that ironed out many of the wrinkles we had with the game at launch. However, if even half of what's alleged in Szymczak's forum post is true, there might not be many (or any) more patches of this nature coming in the future. The previously-announced Nintendo Switch port of the game, which was due for release later this year, is being handled by a different studio, Forever Entertainment. So this latest shake-up shouldn't affect things too much. Forever Entertainment are also handling the Switch port of CreativeForge's first game, Hard West. Update: PC World Australia reached out to CreativeForge for comment. CEO Piotr Karbowski confirmed over email to us that Phantom Doctrine was not bringing in enough sales at launch to balance out the company's preexisting loans and that "most of the team" left CreativeForge Games over the course of a single day. "The loans were not getting smaller, and [Phantom Doctrine] was not making enough revenue." Looking forward, Karbowski says the company now needs "a lot of work to make it stable." He says he's in the process of talking with investors to make sure the company gets back on their feet and claims "a lot of people still think of a bright future for CFG."